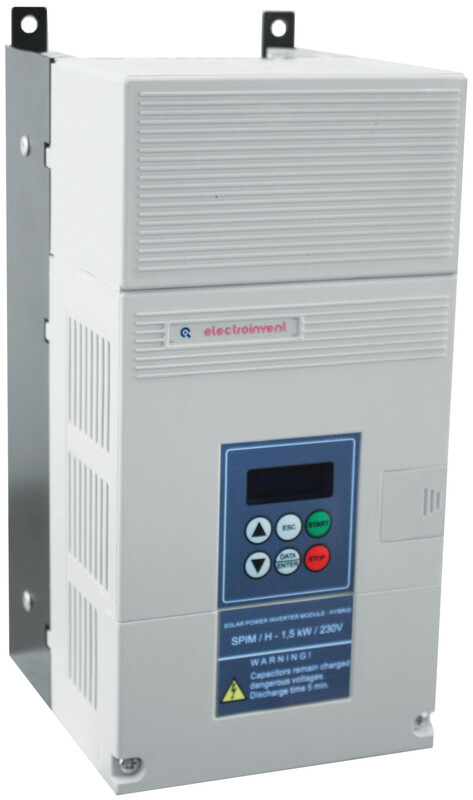 Solar Power Inverter Module / Hybrid (SPIM / H) are variable frequency drives for three phase induction motors in solar pumping systems. The inverters have a hybrid power input. They could be supplied simultaneously from a 1-phase AC power grid and from a PV array (Fig. 1). 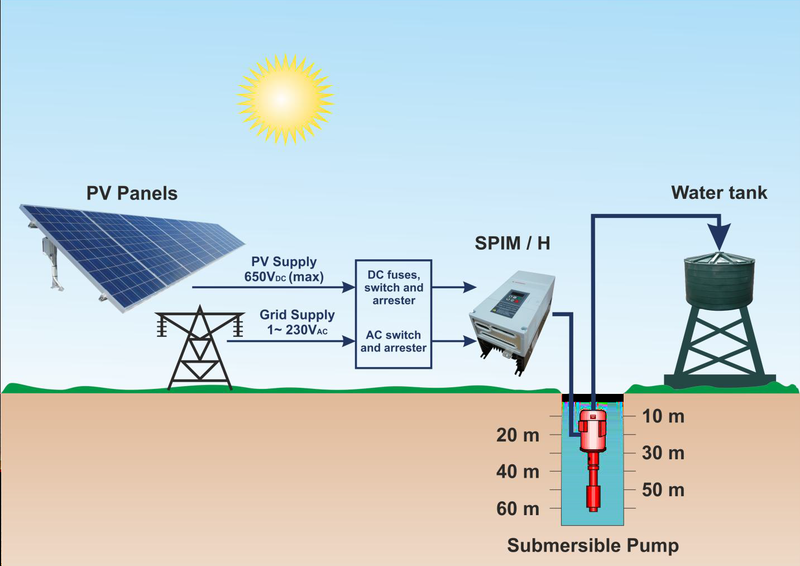 The inverter module works in a proportional mode, when it is supplied from both, an AC grid and PV panels, the device consumes the maximum possible energy from the PV array and, if the solar energy is not enough to feed the pump, then it consumes the rest necessary energy from the AC power grid. The SPIM / H module could be supplied only from one of the power sources. An outside automation system could be implemented for the control of the drives operation and for monitoring of the system parameters.